DCU and Trinity College have the best return on money invested into them than other Irish universities, according to a study on Higher Education in Ireland. The study, conducted by TCD group Tionchar, examined the impact of third level colleges on the economy. Colleges on average gave a return of €4 for every €1 invested giving a “multiplier” effect of four. DCU and TCD’s multiplier was 4.17 making it the highest for universities, while Letterkenny Institute of Technology was the highest for ITs at 4.25. A college’s return on invested money was measured in two ways: direct and indirect spending. Brian Lucey co-authored the study with Qiantao Zhang, and Charles Larkin. He explained how “output” is measured:”Let’s say DCU gets a €1m; it’s going to do things with that money. It’s going to house staff, it’s going to refurbish some buildings etc. So that’s direct spending. According to Lucey, colleges that have a wider breadth of subjects, are successful in attracting non-government funding. However, an urban location does not necessarily mean that a college’s output will be higher than those in rural areas. 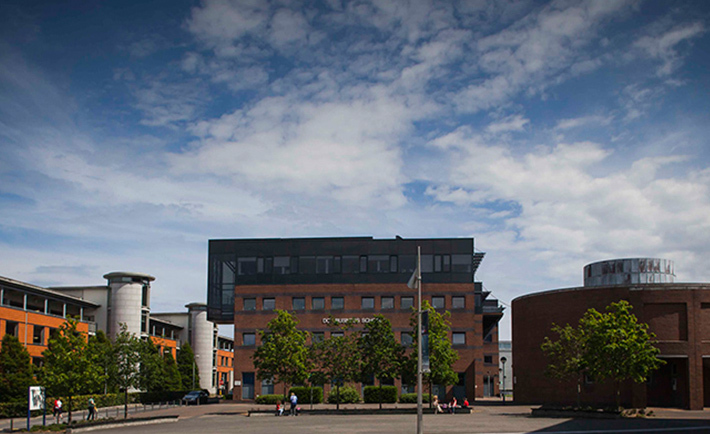 Letterkenny Institute of Technology had the largest multiplier at 4.25 for an IT, compared to 3.62 for IADT. The study is “purely economical” and found that with an annual investment of €2.6bn, the output for all colleges was €10.5bn, making them a viable sector in the economy. The study considered budget constraints, which have left university funding at a “growing crisis”, according to last month’s Irish Universities Association (IUA) conference. Despite this, the data is close to output from UK and US schools.